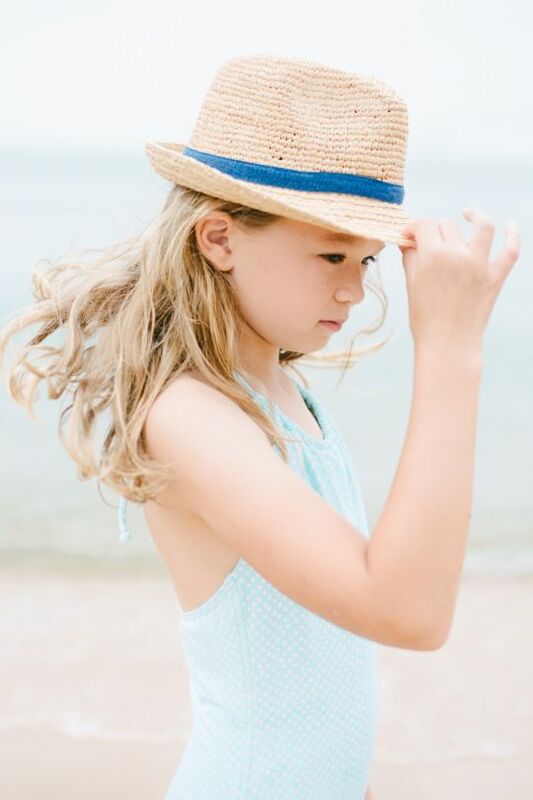 Surlaplage is an independent label with a stylish collection of quality UV protective swimwear and accessories for 6 - 14 year old girls. Including rash shirt sets, swimsuits, bathers, and bikini tops, along with hats and sunglasses, this shop has a lot to offer those lucky ones heading for the water. By creating their own stunning prints and chic designs, Surlaplage’s swimwear manages to combine a hip look with encouraging sun safety. Their fresh summer vibe brings the cool factor into rash shirts (and into sun protection) -- these are suits that girls and parents can agree upon. Surlaplage is the creation of a Dutch Australian duo who share over 10 years of experience in design. Having grown up on the beach in Australia and in Europe's style capitals, they’ve joined talents and experiences to bring young, tween and teenage girls 'beach chic'. Their aim – to encourage kids to wear sun protective beachwear through cool and irresistible design – is one we can really get behind.